"We make the dough for our pies and empanadas from scratch everyday." When it comes to food I have always thought that our approach should be simple and straightforward: use good ingredients in authentic recipes and we will manage to produce the quality of foods that any good restaurant or gastro pub would be proud of. We only use fresh ingredients and cook everything from raw – this is something we are very proud of and interestingly enough something not that common in the industry nowadays. This fact makes the big difference as we can decide on how our foods will be cooked: our chicken is juicy, our beef & lamb are tender, and vegetables are just right. We make the dough for our pies and empanadas from scratch so we have complete control on those processes too. Our pastry is light and full of flavour. We are one of the few companies that can guarantee that when we claim an empanada is suitable for vegetarians, or we classify it as apt for vegans, we can stand by it as we produce the dough and in those cases it does not contain any animal protein (most of the other European producers buy the dough which when is made commercially it contains lard or beef dripping). Food service is as competitive as ever and costing has taken centre stage: our range includes recipes that use quality ingredients that we can source at good prices by different arrangements that we have set with our suppliers. To put it clear: if when deciding to produce a dish we have to compromise on the quality of the ingredients then we will not produce that dish at all. 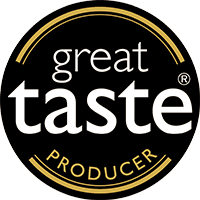 In simple terms you will find that our range is full of flavour, is authentic and of great quality. We produce foods that people enjoy not just once but again and again, the types of food people come back for more. We produce everything from our premises in Dublin, Ireland. Our factory EU Registration is IE 4059 EC.